As The Reader’s Choice nominations begin to roll in, I am noticing a very specific trend among your favorite eateries. From established Omaha restaurants like La Buvette and Jams to new favorites like Coneflower Creamery and Baela Rose, Omaha has been choosing local. I don’t just mean “non-chains”, which I also appreciate. The food you have been enjoying wasn’t only designed and cooked locally, but was largely grown and sourced not far from where you’re dining. The farm-to-fork movement has been a loud and proud transition in America, and Nebraska chefs have a natural leg up on the competition. A deep and rich farming community and a new generation of growers have been working tirelessly to bring food back to its roots. When you think of “farm fresh”, you might instantly think of a big hearty breakfast. A fried potato concoction and a rich, delicious egg dish. When you order breakfast or lunch at Over Easy in West Omaha, your meal comes with a side of local support. A chalkboard in the dining room proudly lists the growers owner Nick Bartholomew considers part of the team that has helped him become a success at all 3 of his establishments. Over Easy, Market House, and his upcoming venture Boho Rice all utilize local suppliers whenever possible. Maybe when you think “local” you’re thinking that there isn’t anything like Nebraska beef. Block 16 and Farnam House are famous for their ability to bust out a great burger. A steak from Spencer’s or J Coco’s Braised Oxtail Bourguignon will cure that red meat craving in two shakes of a cow’s tail. When you’re heading out for a date night, want to impress a guest, or have a special occasion in mind, you don’t leave it up to chance. You find the fanciest place in Omaha and sit down to something decadent. Chicken Confit at Le Bouillon, Berkshire Pork Loin from The Boiler Room, or Wagyu Peppersteak from VMertz. The thread that ties so many of Omaha’s most celebrated chefs is their dedication to the product. Respect for your ingredients begins long before you take it to the cutting board, and chefs like Paul Kulik, Dario Schicke, and Jennifer Coco aren’t afraid to go straight to the source. There is one thing each of these menus have in common. Not a favorite dish or signature cocktail, but the name of a trusted grower. Salt 88 and Dante’s Pizzeria proudly support Branched Oak Farms. TD Niche Pork, Morgan Ranch, and Rossman Family Farms are growing and supplying all of your favorite establishments with the ingredients that will become your favorite meals. Matt and Terra Hall know how to make even the simplest ingredient special. The couple is responsible for showing love and compassion to the dirt that makes your meal delicious. 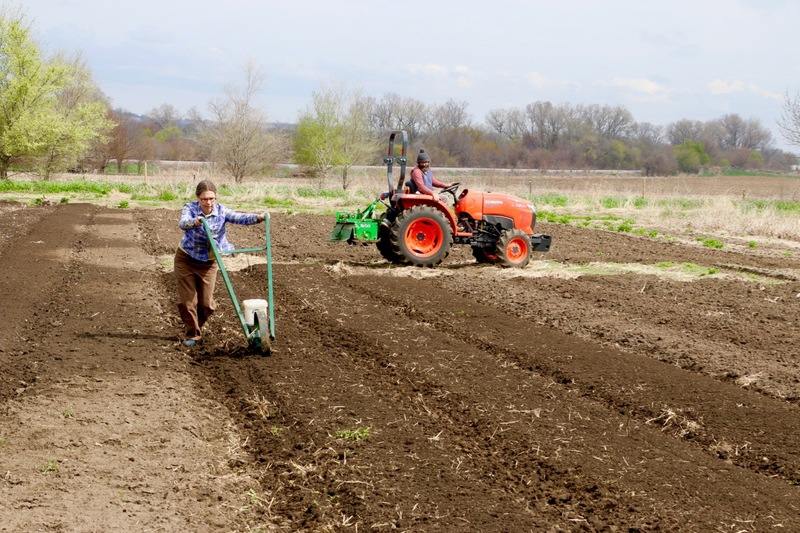 They carefully till and fertilize their land at Rhizosphere Farm by hand. Specializing in heirloom and organic [let’s just call it what it is. Some years the paperwork is late or the certification is too costly, but their practices are organic] herbs and vegetables, Matt and Terra are key players in Omaha’s restaurant industry. They care about their product, whether they’re supplying Grey Plume or preparing a CSA basket for you to take home and experiment with in your own kitchen. Plum Creek shows up on menus from Twisted Cork to Le Voltaire, and for a small fee, will deliver directly to your front door. The Dvorak family supplies natural, fresh chicken and eggs to dozens of Omaha restaurants who swear by the superior flavor and quality of the meat. Free range, the animals are actually given space to roam and exist outside of a cage. The Dvoraks don’t rely on antibiotics to keep their animals from becoming sick, choosing instead to raise them in a healthy, clean environment. While we do live in an agriculturally rich community, big box stores are offering organic produce cheap and easy. The idea is to slowly suffocate the family farm, eventually cornering the market and having sole discretion over what is bought and eaten, and at what cost. Nebraska is currently home to just north of 790,000 households. If each household spent a measly $10 a week on locally sourced foods, we would manage to keep more than $410 million here in our local economy. That’s without considering the environmental impact of reducing our carbon footprint by not shipping food halfway across the country. “We’re not redesigning the wheel, we’re just building it by hand.” Colin Duggan casually remarks. The chef and owner of Kitchen Table in the Old Market may not be redesigning the wheel, but Kitchen Table is redefining the meal with their motto, “Slow food, fast”. Since opening their establishment they have used their time wisely, cultivating relationships with several Nebraska farmers in an effort to keep their kitchen clean and local. The menu remains fluid to account for the relatively uncooperative nature of Nebraska’s weather. Most of Omaha’s chefs and restauranteurs are very modest when you ask them about their local sourcing practices. It’s a fine balance, wanting to support your local growers, but not wanting to fetishize something that should be a natural choice. Kyle Anderson of Baela Rose was almost off-put by my persistence on discussing it. His thoughts are that the onus should be on menus that don’t use local growers to out themselves. A passion for food should lead you only to the best sources, not the cheapest, and if what you want your guests eating is cheap food, be honest with them up front. While we’re not likely to open a menu and see “proudly supplied by Cheap Foods Benefitting 3 Billionaires Intl”, it’s refreshing to see the tides change. While you may or may not be able to recreate Noli’s perfect slice at home, you can buy your ingredients where your favorite restaurants do and come pretty close! 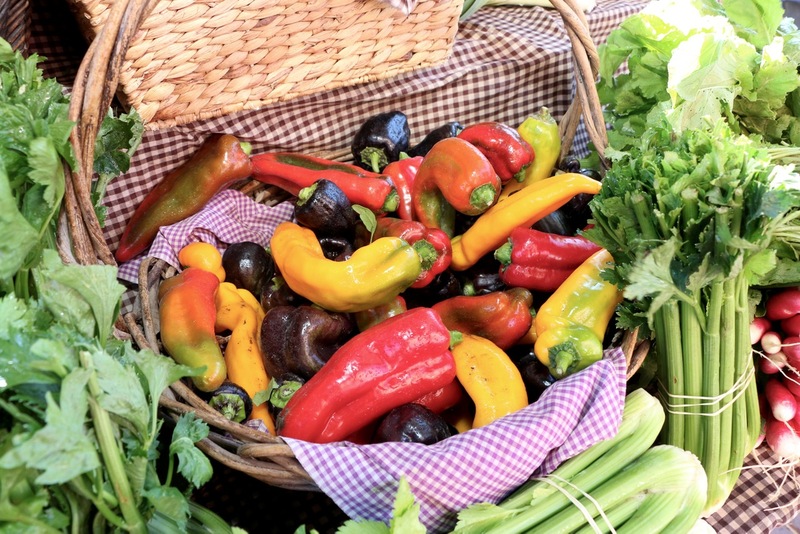 Every one of the growers we have mentioned offers a seasonal CSA. They’re all present at your weekend farmer’s market, and many of them maintain real estate on HyVee’s produce and meat aisles.